Tenille won 2019 SCMA Awards for Female Vocalist of the Year and Songwriter of the Year! Tenille Announces New Single, "Call You Names"
Tenille’s new single, “Call You Names,” will be released everywhere on April 26th! Tenille’s “I Hate This” Music Video reached a huge milestone: surpassing one million views on YouTube. Tenille nominated for SIX 2019 Saskatchewan Country Music Awards, including Female Artist of the Year & Single of the Year. Tenille was invited to perform at & attend New York Fashion Week, wearing & attending shows for designers including, LANYU Couture, Dennis Basso, Cynthia Rowley, Calvin Luo, Jay Godfrey, and more. Customize your Instagram Stories with GIFs from Tenille, all you need to do is search! Tenille has been added to Pandora and Next Big Sound’s “Pandora Predictions Chart,” debuting at #4 with “I Hate This. Apple Music added “I Hate This” to The A-List: Country Playlist. Listen HERE. Billboard’s Tom Roland celebrates the success and inclusivity of the Radio Disney Country chart & program, citing Tenille as a prime example! "I Hate This" officially surpassed 1 Million streams on Spotify and Apple Music! “I Hate This” was named this week’s “Hot Shot Debut” on the Billboard Country Chart, debuting at #41 on the Hot Country Chart, #5 on the Digital Sales Chart, and #30 on the Emerging Artists Chart. Tenille passed 10,000 followers on Spotify. Join them HERE. Tenille told Billboard all about “I Hate This,” filming The Bachelor, Colton’s dance moves, and more. Check it out! Following Tenille’s performance on The Bachelor, “I Hate This” hit #1 on the iTunes Country Song Chart, #4 on the All Genre Song Chart, #2 on the Music Video Chart, and Rebel Child even returned to #3 on the Country Album Chart. Tune-in to The Bachelor on Monday, January 21st to see Tenille perform “I Hate This”! Tenille tops the Radio Disney Country chart with “I Hate This”! Tenille Named Future Star by iHeartRadio Canada! Click to find out more. CMT chose the “I Hate This” music video as one of their ten must-see indies. MusicRow shares kind words after visit & acoustic performance from Tenille. CMT premieres Tenille’s new music video for “I Hate This,” directed by Todd Cassetty. Rolling Stone Names Tenille One of "10 New Country Artists You Need to Know"
Rolling Stone has included Tenille as one of their “10 New Country Artists You Need to Know” in September 2018. Read more to find out why! Tenille will return to ‘The Bachelor’ to perform “I Hate This” in 2019. Billboard's Tom Roland Takes Fans Behind "I Hate This"
Tom Roland features “I Hate This” as August’s “Makin’ Tracks” article in Billboard. In honor of “I Hate This” going to US country radio, you can watch the lyric video now. Tenille will open 17 dates on Dean Brody’s Canadian Dirt Road Stories Tour. Tenille will open Reba McEntire in Prior Lake, MN on August 11th. 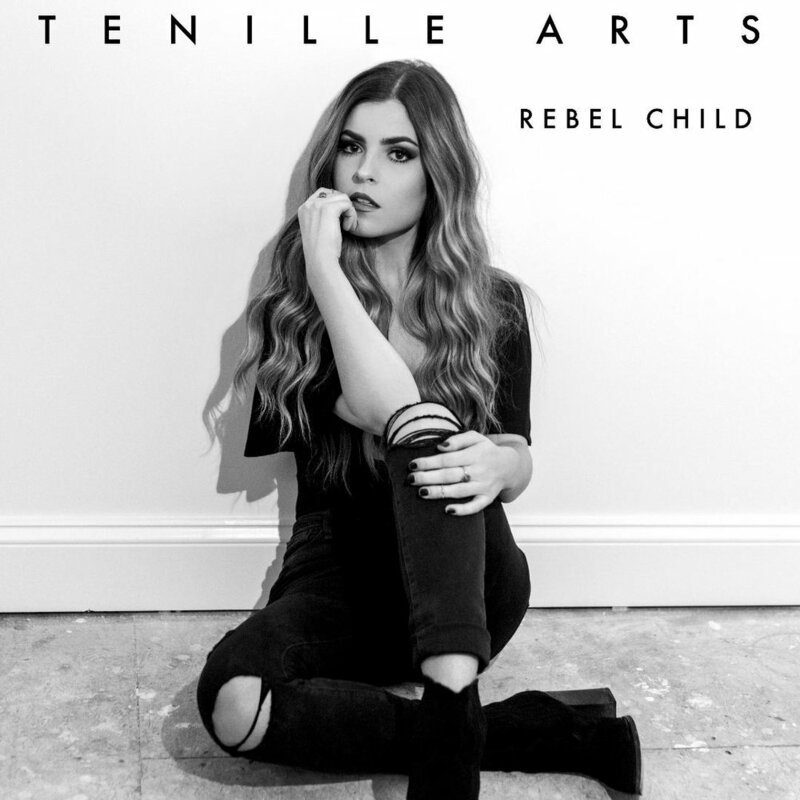 A signed copy of the new ALBUM “Rebel Child” and a signed photo personally selected by Tenille.